Eliezer Ben‑Yehuda (Hebrew: אליעזר בן־יהודה‎‎; pronounced [eli'ʕezeʁ ben jehu'da]; 7 January 1858 – 16 December 1922) was a Jewish Litvak lexicographer of Hebrew and newspaper editor. 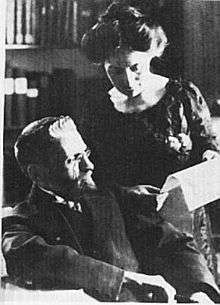 He was the driving spirit behind the revival of the Hebrew language in the modern era. Eliezer Ben-Yehuda was born Eliezer Yitzhak Perlman (Yiddish אליעזר יצחק פערלמאן), in Luzhki (Belarusian Лужкі (Lužki), Polish Łużki), Vilna Governorate of the Russian Empire (now Vitebsk Oblast, Belarus). He attended cheder where he studied Hebrew and the Bible from the age of three, as was customary among the Jews of Eastern Europe. By the age of twelve, he had read large portions of the Torah, Mishna, and Talmud. His mother and uncle hoped he would become a rabbi, and sent him to a yeshiva. There he was exposed to the Hebrew of the enlightenment which included some secular writings. Later, he learned French, German, and Russian, and was sent to Dünaburg for further education. Reading the Hebrew language newspaper HaShahar, he became acquainted with the early movement of Zionism and concluded that the revival of the Hebrew language in the Land of Israel could unite all Jews worldwide. Upon graduation he went to Paris to study at the Sorbonne University. Among the subjects he studied there were history and politics of the Middle East. While he was in Paris he met a Jew from Jerusalem, who spoke Hebrew with him. It was this use of Hebrew in a spoken form that convinced him that the revival of Hebrew as the language of a nation was feasible. Ben-Yehuda spent four years in Paris. In 1881 Ben-Yehuda immigrated to Palestine, then ruled by the Ottoman Empire, and settled in Jerusalem. He found a job teaching at the Alliance Israelite Universelle school. Motivated by the surrounding ideals of renovation and rejection of the diaspora lifestyle, Ben‑Yehuda set out to develop a new language that could replace Yiddish and other regional dialects as a means of everyday communication between Jews who made aliyah from various regions of the world. 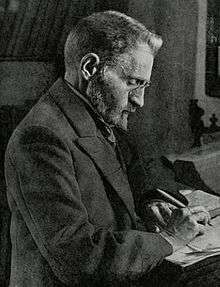 Ben-Yehuda regarded Hebrew and Zionism as symbiotic: "The Hebrew language can live only if we revive the nation and return it to the fatherland," he wrote. To accomplish the task, Ben-Yehuda insisted with the Committee of the Hebrew Language that, to quote the Committee records, "In order to supplement the deficiencies of the Hebrew language, the Committee coins words according to the rules of grammar and linguistic analogy from Semitic roots: Aramaic and especially from Arabic roots" (Joshua Blau, page 33). Ben Yehuda was married twice, to two sisters. His first wife, Devora (née Jonas), died in 1891 of tuberculosis, leaving him with five small children. Her final wish was that Eliezer marry her younger sister, Paula Beila. Soon after his wife Devora's death, three of his children died of diphtheria within a period of 10 days. Six months later, he married Paula, who took the Hebrew name "Hemda." Hemda Ben-Yehuda became an accomplished journalist and author in her own right, ensuring the completion of the Hebrew dictionary in the decades after Eliezer's death, as well as mobilising fundraising and coordinating committees of scholars in both Palestine and abroad. Ben‑Yehuda raised his son, Ben-Zion Ben-Yehuda (the first name meaning "son of Zion"), entirely through Hebrew. He refused to let his son be exposed to other languages during childhood. He even once yelled at his wife, after he caught her singing a Russian lullaby to the child. His son Ben-Zion was the first native speaker of modern Hebrew. Eliezer Ben-Yehuda while working on the Hebrew dictionary. Ben-Yehuda was the editor of several Hebrew-language newspapers: "HaZvi," "Hashkafa" and "HaOr." "HaZvi" was closed down for a year in the wake of opposition from Jerusalem's ultra-Orthodox community, which fiercely objected to the use of Hebrew, their holy tongue, for everyday conversation. Ben-Yehuda was a major figure in the establishment of the Committee of the Hebrew Language (Va'ad HaLashon), later the Academy of the Hebrew Language, an organization that still exists today. He was the author of the first modern Hebrew dictionary and became known as the "reviver" of the Hebrew language, despite opposition to some of the words he coined. Many of these words have become part of the language but others — some 2,000 words — never caught on. His word for "tomato," for instance, was badura, but Hebrew speakers today use the word agvania. Ancient languages and modern Standard Arabic were major sources for Ben-Yehuda and the Committee. According to Joshua Blau, quoting the criteria insisted on by Ben-Yehuda: "In order to supplement the deficiencies of the Hebrew language, the Committee coins words according to the rules of grammar and linguistic analogy from Semitic roots: Aramaic, Canaanite, Egyptian [sic] ones and especially from Arabic roots." Concerning Arabic, Ben-Yehuda maintained, inaccurately according to Blau and historical evidence, that Arabic roots are "ours": "the roots of Arabic were once a part of the Hebrew language . . . lost, and now we have found them again"! (Blau, page 32). In December 1922, Ben Yehuda, 64, died of tuberculosis, from which he suffered most of his life. He was buried on the Mount of Olives in Jerusalem. His funeral was attended by 30,000 people. Ben Yehuda built a house for his family in the Talpiot neighborhood of Jerusalem, but died three months before it was completed. His wife Hemda lived there for close to thirty years. Ten years after her death, her son Ehud transferred the title of the house to the Jerusalem municipality for the purpose of creating a museum and study center. Eventually it was leased to a church group from Germany who established a center there for young German volunteers. The house is now a conference center and guesthouse run by the German organization Action Reconciliation Service for Peace (ARSP), which organizes workshops, seminars and Hebrew language ulpan programs. In his book Was Hebrew Ever a Dead Language, Cecil Roth summed up Ben-Yehuda's contribution to the Hebrew language: "Before Ben‑Yehuda, Jews could speak Hebrew; after him, they did." 1 2 3 4 Naor, Mordechai. "Flesh-and-Blood Prophet". Haaretz. Retrieved 2008-10-01. 1 2 3 4 Balint, Benjamin. "Confessions of a polyglot". Haaretz. ↑ St. John 1952, p. 125. ↑ St. John 1952, p. 149. ↑ "Mount of Olives - Jerusalem". trekker.co.il. ↑ "Beit Ben Yehuda - International Meeting Center in Jerusalem". beit-ben-yehuda.org. Blau, Joshua The Renaissance of Modern Hebrew and Modern Standard Arabic. Berkeley, California: University of California Press. 1981. St. John, Robert (1952). Tongue of the Prophets. The Life Story of Eliezer Ben Yehuda. Garden City, New York: Doubleday & Company Inc. ISBN 0-8371-2631-2. Lang, Yosef . The Life of Eliezer Ben Yehuda. Yad Yitzhak Ben Zvi, 2 volumes, (Hebrew). Ilan Stavans, Resurrecting Hebrew. (2008). Wikimedia Commons has media related to Eliezer Ben-Yehuda.